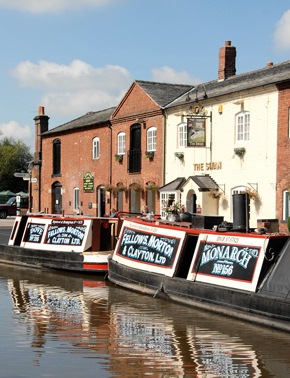 We are proud to enjoy a well earned excellent reputation, established with our fleet of narrowboats of exceptional comfort and reliability, built and operated by our experienced and professional team. As a small, family company of 35 years standing, all aspects of the business remain under the direct control of the proprietors, guaranteeing an attention to detail and level of friendly, personal service unmatched by larger operators. We turn round a maximum of six boats on any one day and as a result are able to devote our considerable resource to cleaning and servicing each one. Rest assured that you will take over an immaculate boat in the peak of operating condition. In the unlikely circumstances that you encounter a mechanical problem, we are on call 24 hours a day to provide a fast and responsive back-up service and to ensure that your holiday can continue as planned. As a founder member of the exclusive Blue Riband Club, it is our philosophy that your holiday narrowboat should provide the same facilities and comforts as your own home. 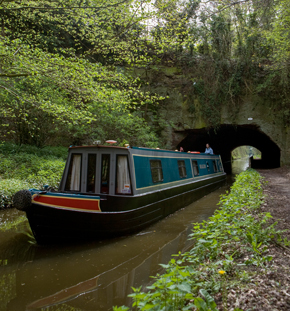 At Countrywide, we appreciate that you expect and deserve comfort when each day of exploring is done, so we have established a fleet of luxury narrowboats with an enviable reputation for quality and reliability. Our attention to quality extends not just to the external good looks and light, spacious interiors of our boats, but also to the quietness and efficiency of our engines, so you can enjoy a comfortable, contented and trouble-free cruise. Whatever your itinerary, we shall be delighted to discuss any aspect of it with you; please draw on our wealth of route-planning experience. If you are a novice we will, of course, spend ample time explaining and demonstrating the straightforward handling and operating procedures of your chosen narrowboat. Before your departure you will receive a Blue Riband Club Cruising Guide full of useful hints, and an informative DVD is available on request which illustrates the necessary techniques and canal conventions. Peruse these at your leisure and, once aboard, you will be surprised at how quickly you will master the required skills. Suitably prepared, you will be ready and eager to embark on your holiday.